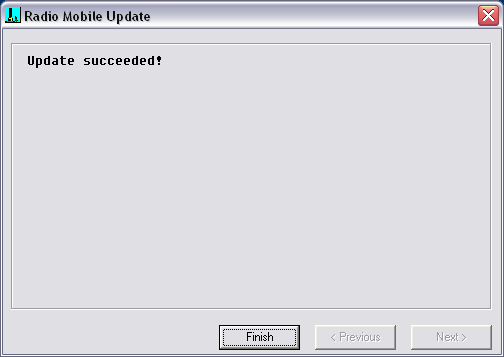 When a update is found, Radio Mobile will ask you if you want to update. When you decide to update you are asked to stop Radio Mobile. 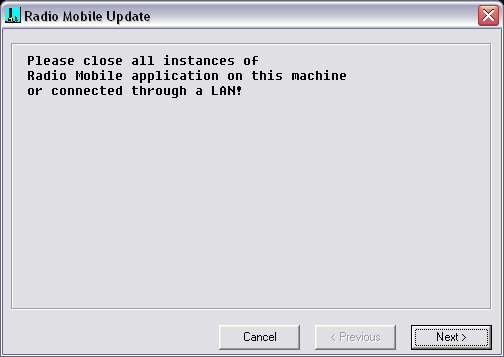 This is mandatory as a running version of Radio Mobile cannot be updated. The update process is in a wizard manner. You will be guided through the process by the follwing screens. Before the download starts, Radio Mobile Update will ask you to shutdown Radio Mobile. If you do not close Radio Mobile the update will fail. Then the updates are downloaded. 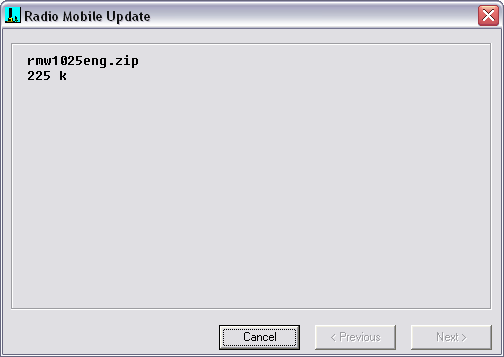 After a succesfull download Radio Mobile Updater will unpack the update. When finished Radio Mobile is ready for useage again.